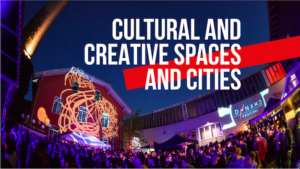 On 7 and 8 November CCQO is joining the kick off meeting of the project Cultural and Creative Spaces and Cities, funded by the Creative Europe Programme of the European Union. CCQO will be in charge of the research component of this project. Following the methodology of ‘convoking’, the newest member of our team, Maria Francesca de Tullio, supported by Pascal Gielen and Hanka Otte, will carry out research into the potency of commoning and co-creative policies with a focus on the juridical and necessary regulation framework to build trust relationships. This research will be executed in close collaboration with ECF, P2P Foundation, Trans Europe Halles and seven Urban Labs. Information on this project can be found here.